As one of the top siding contractors in Connecticut, our team from Signature Exteriors gets asked a lot of questions regarding siding materials and the installation process. We’re happy to answer the most frequently asked questions regarding this topic. Q: What Siding Do You Install? A: While there’s a wide selection of siding to choose from, we install two that we’ve found to be the best choice for Connecticut homeowners. These are vinyl siding and James Hardie® Fiber Cement Siding. These two siding types are economical and practical choices for homeowners looking for home exterior protection that’s attractive, energy efficient and durable. Q: Is Vinyl Siding Still a Viable Choice? A: It most certainly is. Vinyl siding boasts a unique blend of aesthetics, durability and low-maintenance properties that are unmatched for its price. It’s the direct upgrade to wood and it closely rivals fiber cement siding in weather tolerance. It also has the widest color palette of all the siding types, which means you can easily tweak its looks depending on the architectural style of the property. Q: What’s the Benefit of James Hardie’s Fiber Cement Siding? A: James Hardie Fiber Cement Siding stands up well to extreme weather better than both wood and vinyl. This is due to the fiber cement material, which naturally withstands wind-driven debris and rain that can otherwise puncture and affect other siding materials. The fiber cement siding we install from James Hardie is also very dimensionally stable and doesn’t expand and contract in heat and cold, unlike other siding. This is the reason it is completely immune to rotting, cracking, peeling and flaking. Q: Why Should I Hire Your Company to Install my New Siding? 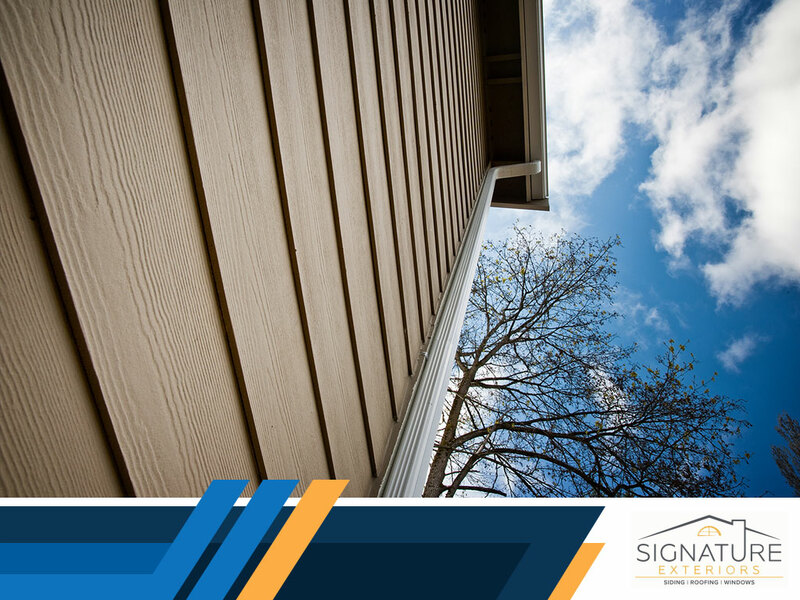 A: At Signature Exteriors, we have a perfectionist approach to installing siding. We back this up with years of experience and 20-year labor warranties that protect your new siding. You are not likely to get this level of investment security when you work with other contractors. Whether you’re planning to install fiber cement or vinyl siding, we’ll make sure your new hardware is properly installed so that it looks good, functions well and maximizes and exceeds its service life span. Call us today at (866) 244-8029 to learn more about our services. We are CT siding experts serving homeowners throughout Connecticut.